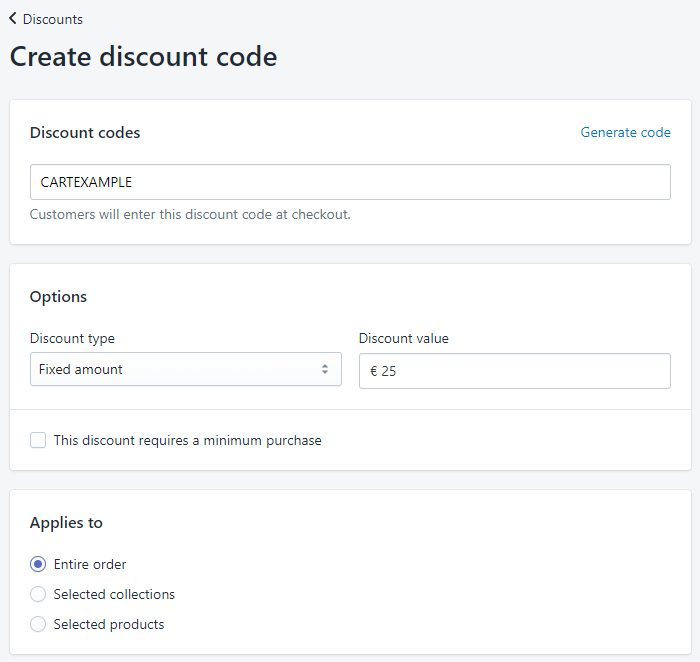 Discount Ninja understands the different types of discounts you can set up in Shopify and applies those rules to the collection, product, cart and checkout. 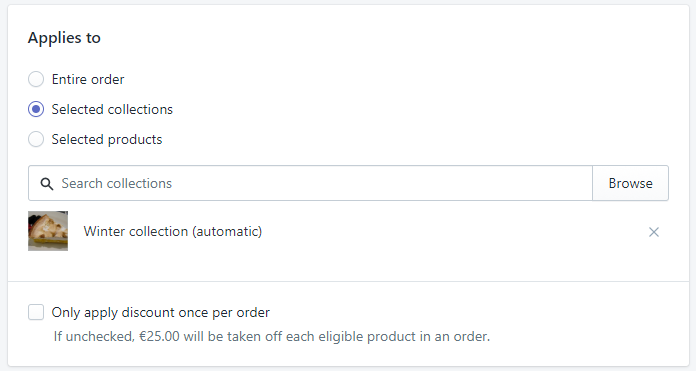 This article explains how you set up cart level and product level discounts in Shopify. Select which products or collections participate in the promotion. Uncheck "Only apply discount once per order"